Tribes, Crews & Cliques…Oh My! | Red Said What? Posted on March 5, 2018 by Red said what? • This entry was posted in Childhood, Friendship, On parenting..., On relationships... and tagged childhood, clique, crew, friendship, growing up, motherhood, parenting, relationships, society, tribe. Bookmark the permalink. Red, I love your thoughts on this topic. I’m going to throw my two cents in for what it’s worth. I have a daughter, now sixteen, and son, almost eighteen. I believe in the idea of a tribe because fitting in during a child’s critical years (middle through high school) is paramount. The children who are on the outside looking in are lonely, hurt, suffer from low self-esteem, act out, etc. If you watch the girls in middle school, they all look alike. They wear the “in” clothes, have the “in” gadgets. Fitting in is survival in middle school, especially for girls. Because for whatever reason, girls tend to be less inclusive than boys. Even though parents preach to be an individual, don’t jump off the bridge and all that, being the same means a child belongs. It takes some years, and for many, their entire lives, to figure out it takes courage to be authentic. In the meantime, we all need to know we fit in somewhere. That we’re not alone. That someone else sees the world the way we do. Having said that, I don’t believe in leaving children out just because. I’ve often told my kids to include someone at lunch or on the playground or the bus. It’s not a marriage proposal, but just being nice, and we have different friends for different reasons. They don’t have to like everyone. I certainly don’t. 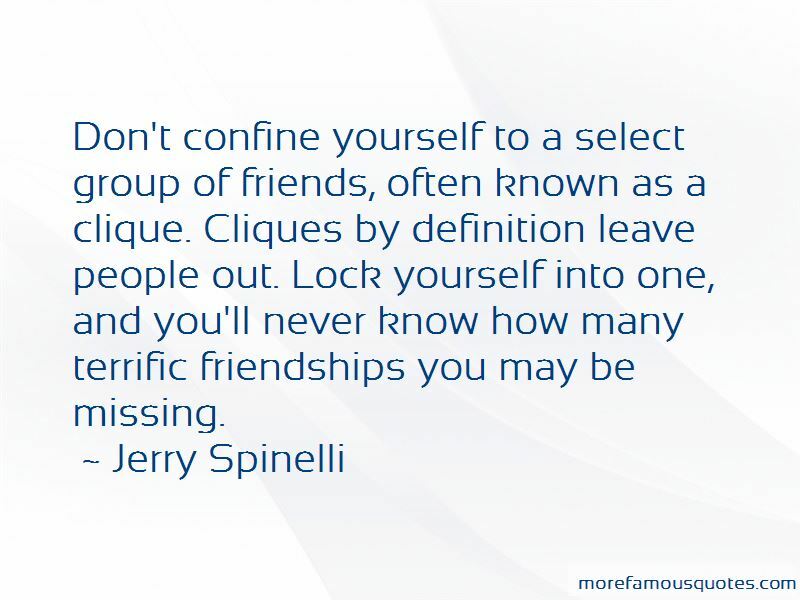 I’m never rude, but I have my select group of people I reach out to for socialization. The people who get me. My tribe. Which has shrunk the older I get. Maybe because I’ve said, be nice, treat everyone the same, is the reason my children have a nice size group of friends. But I can tell you, those friends are like minded to them. Enjoy the same interests. And their groups are vastly different because my kids are vastly different from each other. I wouldn’t expect it any other way. 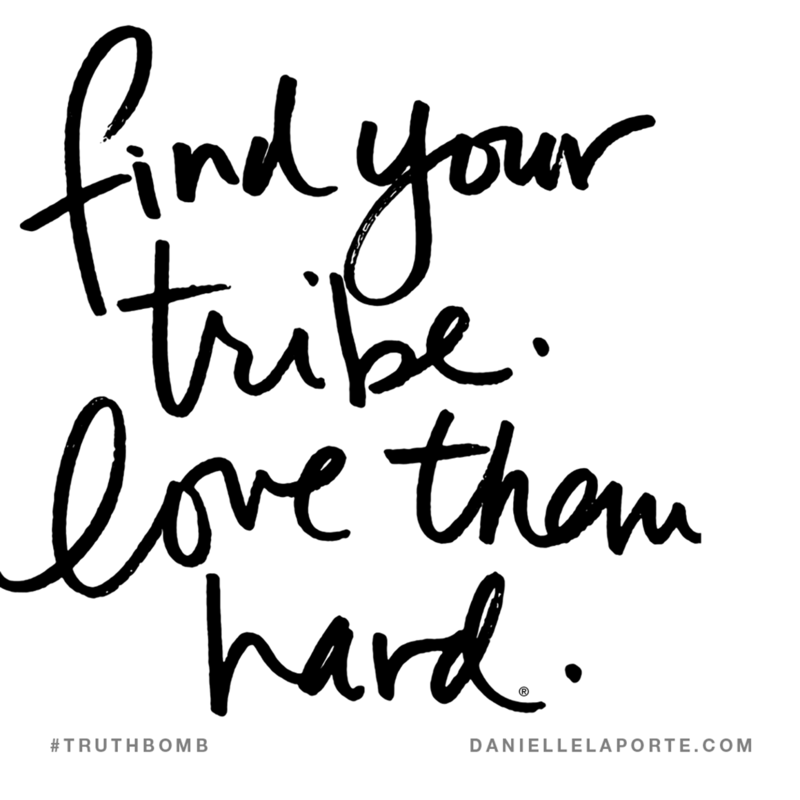 I say embrace the tribe, but keep an eye out for new members. Thank you so much for sharing your experience with your own teens and for your point of view. I totally see your point. One of the reasons I wrote this post was to get people thinking and to solicit other points of view. I’m glad you shared yours :-).